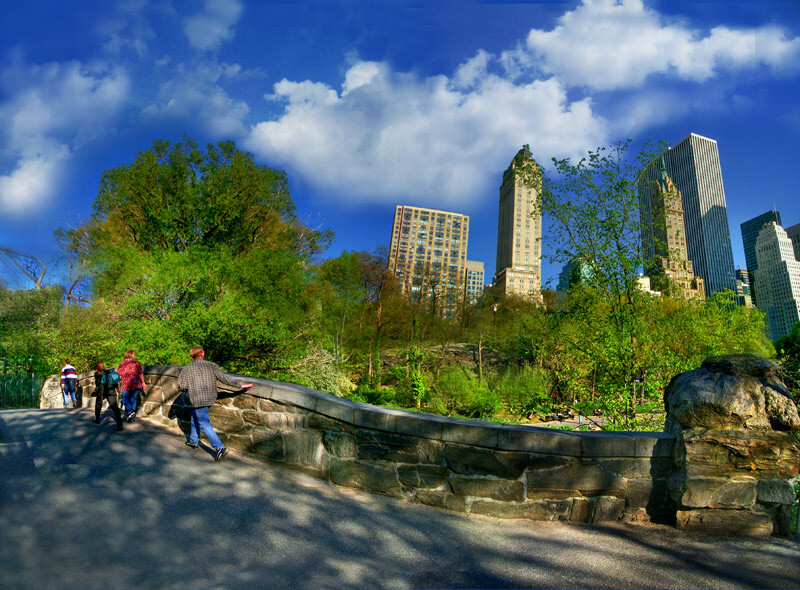 Miami In Focus Photo Gallery of the Gapstow Bridge E62 in Central Park. Dimensions: Span - 44 feet: Height - 12 feet. Walkway - Length 76 feet. 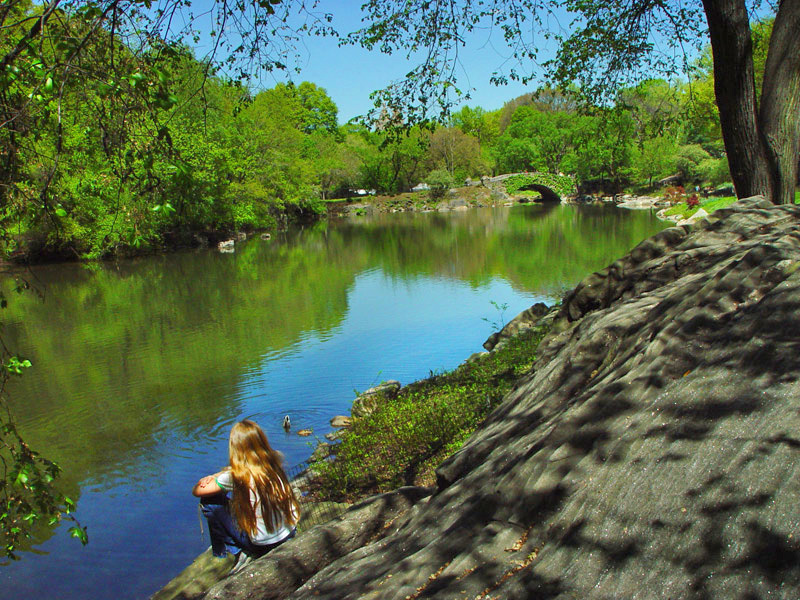 Revetment (surface): Manhattan schist and local bedrock. 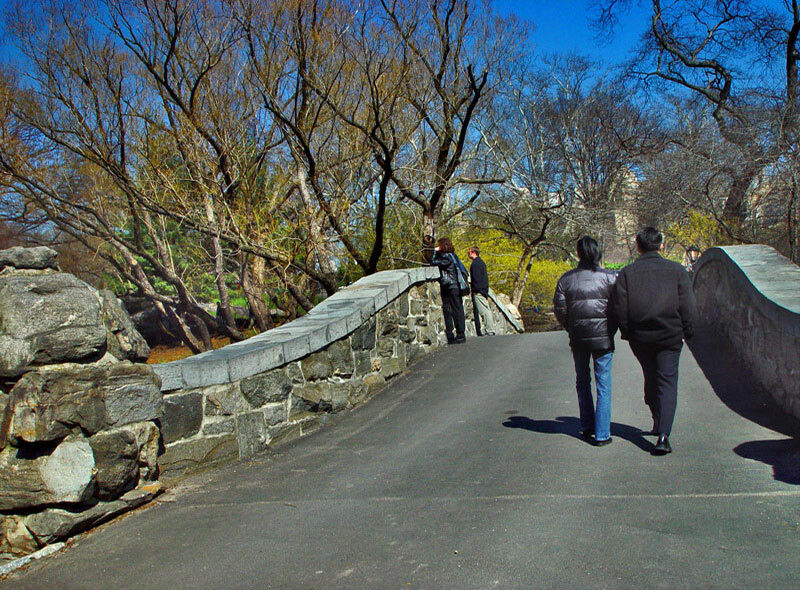 The Gapstow Bridge is another Central Park icon. It spans the northeast end of the Pond providing the area with a defining scenic enhancement as well as an excellent place to view the the City skyline. 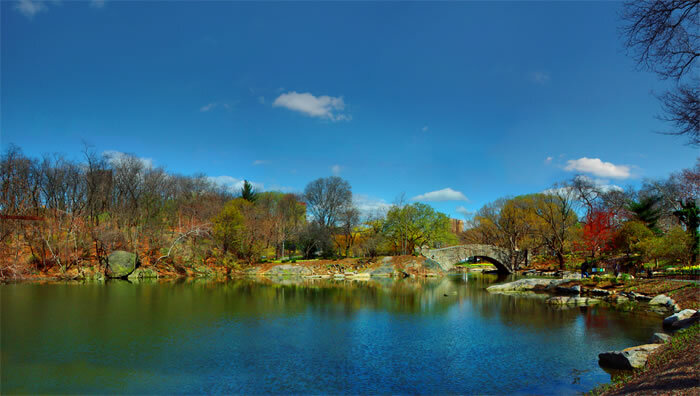 The original Gapstow Bridge was built in 1874 and designed by Jacob Wrey Mould. It was a unique wooden bridge with ornamented cast iron railings. Apparently, due to wear and tear it only lasted a little more than twenty years. This current stone replacement is a sturdy structure that compliments the water and grassy slopes that it surrounds. 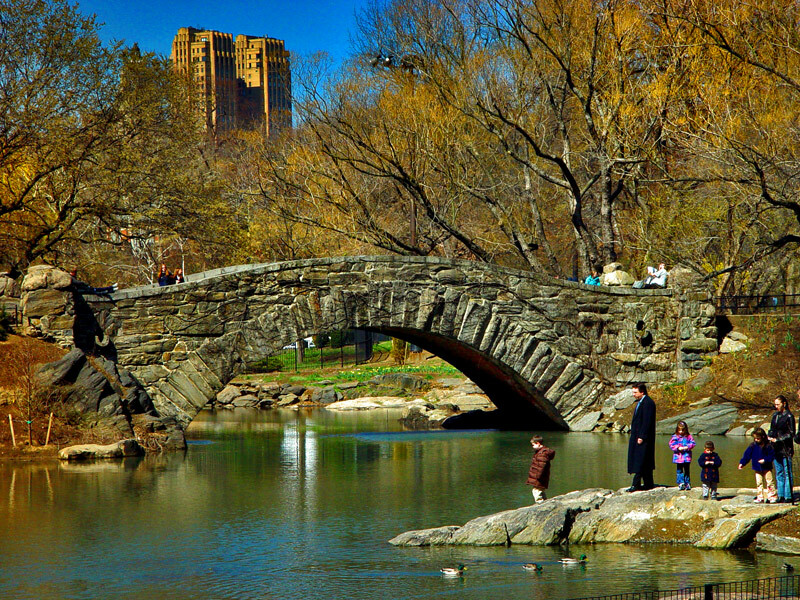 During the warmer weather foliage will completely cover the bridge camouflaging its shape with a cloak of green.